I n Sunday’s Hollywood Casino 400 at Kansas Speedway, Jeff Gordon will be searching for the fine line between top performance and disaster in his second run on Goodyear’s new multi-zone tread tire. Earlier this year at Atlanta Motor Speedway, Goodyear introduced the new tire to the NASCAR Sprint Cup Series for the4 first time on an intermediate track. Gordon led 17 laps that day en route to a sixth-place finish and has high praise for the tire. "I really enjoyed racing on the tire in Atlanta, and I'm looking forward to racing on it again this weekend," said Gordon. "Even though it's been a couple races since it's been repaved, I still think of Kansas as a 'new' repave. “There's more grip with the soft-side of the new tire and I hope it provides more forgiveness on the smooth track and gives us a better feel for the grip level." Sunday at Dover, Gordon and his No. 24 AARP/Drive To End Hunger Chevrolet team played the fuel mileage game admirably, before a late-race caution spoiled their strategy. The four-time Sprint Cup Series champion finished fourth, moving into a tie for fourth in the championship point standings. He was able to shave three points off Matt Kenseth's lead and said a 39-point gap is not insurmountable. "If Matt and Jimmie (Johnson) continue to post wins and good finishes, it's going to be difficult to catch them," said Gordon. "But I like how our team has stepped up during the Chase and we need to be ready to take advantage if they have a bad race. "Running the way we are right now, you really look forward to the next race." That next race comes in Kansas, where Gordon has two wins (2001 and 2002), along with eight Top-5 and 10 Top-10 finishes in 15 career starts. After crashing during qualifying in April, Gordon raced from the rear of the field in a backup car to crack the Top-10 with just under 100 laps remaining. An ill-timed caution flag during his final pit stop trapped him one lap down, however, relegating him to a 13th-place finish at the drop of the checkered flag. "We had a disappointing start to that weekend, but this team worked hard and the backup car was fast," said Gordon. "Our setups have evolved a lot since then, so we'll work hard again starting with Thursday's test and see if we can have another strong car for Sunday's race." 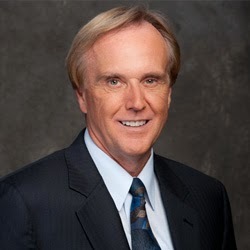 Veteran announcer Marty Reid is out at ESPN, replaced by Allen Bestwick for the remainder of the season. There is no word on whether Reid will continue as lead announcer for ESPN’s IndyCar broadcasts. Legendary Indianapolis 500 chief mechanic George Bignotti died today in Las Vegas at age 97. Bignotti tuned cars to seven Indianapolis 500 victories, more than any chief mechanic in the history of the race. His Indy-winning drivers included A.J. Foyt, Graham Hill, Al Unser, Gordon Johncock and Tom Sneva. 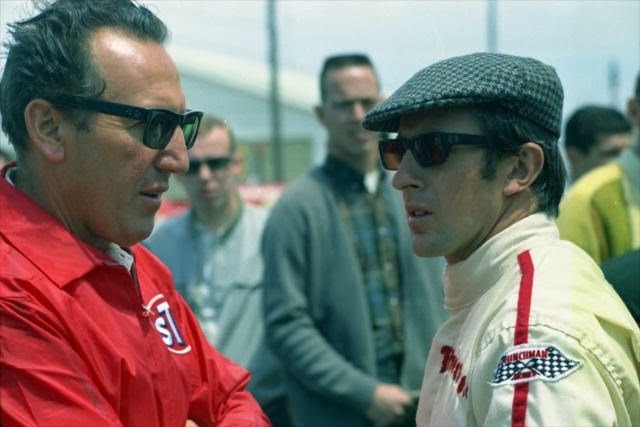 The California native was also the winningest chief mechanic in IndyCar history. "We're saddened to learn of the passing of George Bignotti. George is a true legend,” said Indianapolis Motor Speedway President J. Douglas Boles today. “He set a standard for mechanical excellence and preparation at the Indianapolis 500 that has yet to be matched and may never be reached. George's love and loyalty toward the '500' never waned throughout his wonderful, long life, and he had countless friends and admirers in Gasoline Alley and the IndyCar community. Everyone at IMS extends their thoughts, prayers and sympathy to the Bignotti family." The women of NASCAR will get their turn to race for the spotlight at the third annual Better Half Dash on Oct. 10. 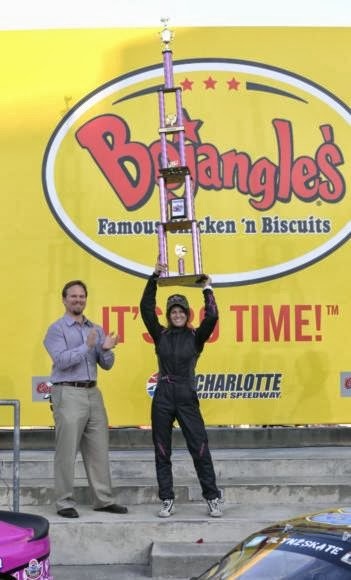 The better halves of racing duos will showcase their skills before the NASCAR Sprint Cup drivers battle it out for the fastest lap on Bojangles’ Pole Night at Charlotte Motor Speedway. Better Half Dash defending champion and eight-time X Games medalist, Pastrana, is no stranger to winning, but she has a special fondness for her six-foot, pink Better Half Dash trophy. The starting order for the race will be determined by qualifying on Monday, Oct. 7, at Charlotte Motor Speedway. Fans can get involved and help determine the polesitter by visiting www.go2mro.com/betterhalfdash and donating to their favorite driver. The driver with the most donations will lead the field to the green flag. Although Pastrana is looking for another win, it isn’t all about the competition. She enjoys the camaraderie that the drivers and their husbands develop with other racing couples. Quicken Loans announced today that it will join Richard Childress Racing for the 2014 NASCAR Sprint Cup Series season as primary sponsor of Ryan Newman’s No. 31 Chevrolet SS for 12 races and associate sponsor for all remaining races. The move continues a spartnership between Quicken Loans and Newman that dates back to 2012. Since joining the sport, Quicken Loans has become active in both NASCAR and IndyCar racing. In addition to its sponsorship of Newman, the company is also title sponsor of the Quicken Loans 400 Sprint Cup Series race at Michigan International Speedway and an associate sponsor of Team Penske IndyCar drivers Helio Castroneves and Will Power. Quicken Loans will remain as the primary sponsor of Newman’s No. 39 Chevrolet fielded by Stewart-Haas Racing for the remainder of the 2013 Sprint Cup Series season. Newman currently sits ninth in the Chase for the NASCAR Sprint Cup. “We are looking forward to an exciting end of the 2013 season, and Ryan’s run for the Sprint Cup championship. We’d also like to thank our partners at Stewart-Haas Racing. They’ve been instrumental in our success in the sport, and we thank them for sharing their expertise with us,” Farner added. Sixth in the championship standings, 39 points behind leader Matt Kenseth, Kevin Harvick insists it’s too early to start obsessing about the rankings. “I honestly haven't even really looked (at) the points deficit and paid attention to it,” he said. “For us, it's really about just going out and doing what you can week in and week out, and where you fall is where you fall. That's the cards that you were dealt. “At one point, we strung together nine weeks in a row with Top-10 finishes and some wins. I think that’s what you need to do, to have a chance at winning the championship. The Richard Childress Racing driver said Sunday’s race on the Monster Mile at Dover offers an opportunity to close the gap and start a run of consistent finishes leading all the way to the season finale at Homestead Miami Speedway. “I think the capability is there for us as a team to string some finishes together,” he said. “It's just a matter of putting the next eight weeks together. We've done it before this season, so we've just got to do it quick. You just have to go out and drive your car as fast as it'll go, and the guys on the team (have) to change the tires and make the right decisions, just as they would every other week. 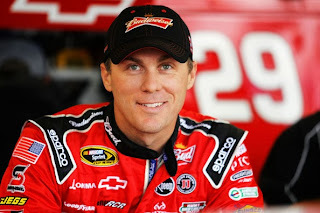 “A lot of people think that we change our strategy,” said Harvick, “but our strategy is to try to win every week. Obviously you can't do that, so you have to try to pull the best finish that you can from that particular weekend. If you're having a good day, capitalize on it. If you're having a bad day, try to figure out how to create a decent finish and gain maximum points. Harvick said the key to a successful Chase is to improve from week to week. “Everything has to get better,” he said. “You have to have a little bit better in each department. It's really not one particular thing. It's really not a conversation that you have to sit down and have. I think everybody on our team has been around it long enough to know that in order to do better than what we've done in the past, we have to get better in every spot, whether it's the driver, the crew chief, the pit crew, and everything that goes with it. 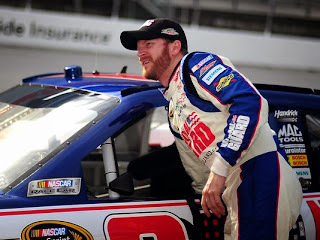 After a slow start to the 2013 Chase for the NASCAR Sprint Cup, Dale Earnhardt, Jr. said he and his team have dug themselves a competitive hole that will be difficult to climb out of. “(We’re) just going to have to work hard,” said Earnhardt, who paired a 35th-place finish at Chicagoland with a sixth last weekend in New Hampshire. “Our chances aren't looking that great, because the guys ahead of us are winning races. They've had a pretty strong couple weeks to start the Chase off. But we don't give up, we keep working. If we can win a couple races, no matter what happens in the championship, that will improve the results of our season and give us a lot to be happy about. Asked if his slow start to the 2013 Chase will changes his team’s approach in the final eight races of the season, Earnhardt said, “I wouldn't say it changes the strategy. You look at your position in the Chase and you say, `All right, we're way behind. We've got ourselves off to a terrible start in Chicago. So we don't really need to try to string together decent finishes. That's not going to do much for us. We're behind so far that trying to be consistent and rattle off Top-10s… there is no moral victory there. We can gamble on tire strategy, get off-sequence in the race and try to make it work for you and get to Victory Lane. “In the Chase, you want to win all the races like Matt's doing. But you (also want to) run smart, run as hard as you can and try to finish as good as you can. Like Kyle, for example. He's hanging around, and that's going to pay off. If Matt makes a mistake or has trouble similar to the way me and (Joey Logano) had in Chicago, Kyle's consistency and Jimmie's will bode well for them. “That will put them in position to take advantage of Matt's bad luck. “There is a lot of racing left,” cautioned Earnhardt. “There are eight races. That's a lot of racing and a lot of potential for good luck and bad luck to be shared by everybody. I'm certain Matt and his team are going to try real hard to be smart and continue the success that they've had. But nobody's immune to someone else's mistake, or something reaching out and altering the way the race is going for them. 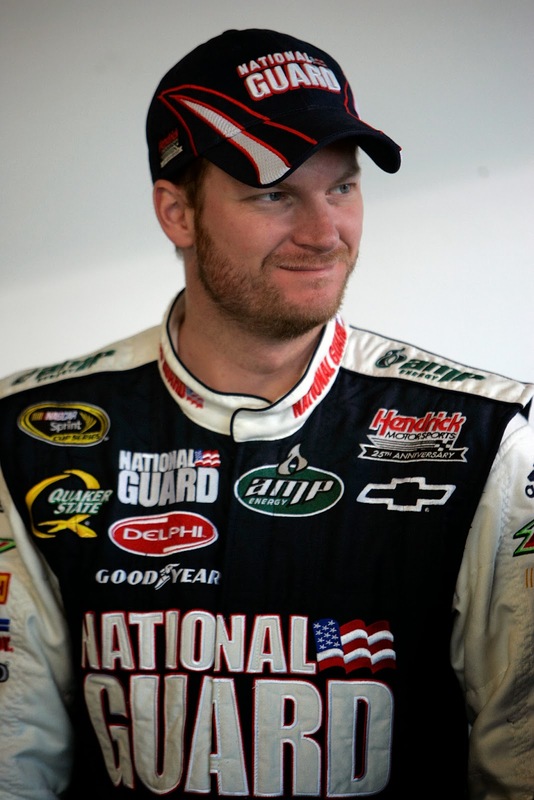 Asked where his championship effort ran afoul, Earnhardt looked back on a fast start to the 2013 season that he and his team were unable to maintain. “We started the year out strong,” he said. “If we could have beaten Carl Edwards on that last pit stop in Phoenix, we could have won that race. We had a string of good finishes and we were leading the points in the first five or six races of the year. I feel like we really applied ourselves and adapted to the new car pretty quickly. “Nobody's going to make it easy on Matt,” promised the Hendrick Motorsports driver. “I think the larger his lead gets, (the) more of a bulls-eye the guy gets on him and the tougher competition tends to race him. He can expect things to be pretty competitive going forward. 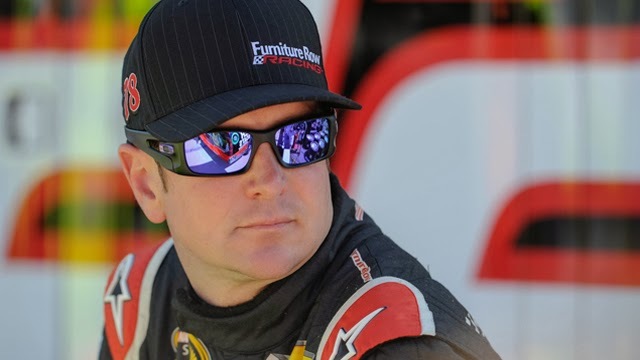 As the Chase for the Sprint Cup championship enters its third week, Kurt Busch feels his Furniture Row Racing team needs to step up the pace in Sunday’s AAA 400 race at Dover International Speedway. Busch scored a solid fourth-place result in the Chase opener at Chicagoland Speedway, but then slipped to 13th in New Hampshire for an average finish of 8.5 in the first two playoff races. 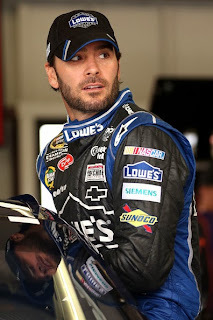 He is currently seventh in the Chase standings, only four points out of fourth. If there’s a silver lining for Busch, it's the performance level the single-car team displayed at the June race at Dover. Busch was in position to post a Top-5 or better result, but due to a race strategy not panning out, Busch settled for a 12th-place finish. “Dover was a good race for us,” noted Busch. “We had speed and ran up front. However, we convinced ourselves to stick to a strategy that we thought would deliver the best finish and we ended up putting ourselves in a box. We didn't roll with the way the yellows were unfolding. We just stuck with a game plan and it ended up biting us and finished 12th. “We know what we have to do there. It's a matter of execution and making the right strategy decisions as the race unfolds. We're coming off a so-so race at New Hampshire and feel we need to pick up the pace and show more muscle. There's still a long ways to go in this Chase. Avoiding trouble and mechanical issues in the next eight races are vital if you want to be a contender." Busch, the 2004 NASCAR champion, has had past success at Dover. He won there in the 2011 fall race and has career totals of one win, six Top-5 and eight Top-10 finishes, with 426 laps led in 26 career starts. 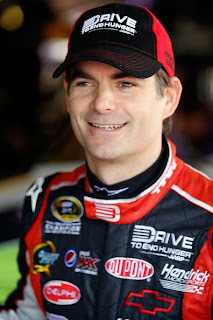 His average starting position at Dover is 11.2 and average finish is 18.1. Jimmy John’s will join Stewart-Haas Racing in 2014 as a primary sponsor of driver Kevin Harvick and the No. 4 Chevrolet SS in the NASCAR Sprint Cup Series. Jimmy John’s will be the primary sponsor of Harvick and the No. 4 team for 12 races, highlighted by the Brickyard 400 at Indianapolis Motor Speedway. For the remaining 26 races on the Sprint Cup schedule, Jimmy John’s will serve as a major associate sponsor of the No. 4 Chevrolet. Jimmy John’s will also be an associate sponsor of the No. 14 Bass Pro Shops/Mobil 1 Chevrolet of SHR driver/owner Tony Stewart. Truex On Richmond Fallout: "It's Been Rough"
It’s been a difficult three weeks for Martin Truex, Jr. The Mayetta, NJ, native was momentarily a 2013 Chase qualifier until evidence of on-track impropriety in the regular-season finale at Richmond International Raceway resulted in a NASCAR points penalty that eliminated him from title contention. 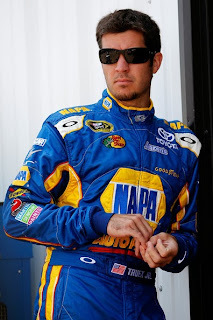 Last week, sponsor NAPA revealed that they will end their involvement with the team two years early, leaving Truex’s continued employment in doubt. “It’s been rough, for sure,” said Truex this week, after leading 98 laps en route to a 10th-place finish at New Hampshire Motor Speedway Sunday. “But that’s the way it goes sometimes. I wish we could have led the last lap Sunday. That would have made things a lot better. Truex said he is unhappy with the uncertainty surrounding Michael Waltrip Racing, but realizes he is not the only one affected. While Waltrip said last week that he would like to retain him as part of a three-car MWR stable next season, Truex said he remains unsure where his future lies. “I feel like we have a lot of unfinished business at MWR and I have really enjoyed my time there," he said. "They’ve been great to me and treated me like family. But this is a very confusing situation. It’s complicated when something like this happens so late in the season. Ultimately, I need to race a car next year in the Sprint Cup Series. Truex said he has had preliminary discussions with other teams about next season, while also continuing to talk with MWR. While upset with the way things unfolded at Richmond, Truex said he understands that MWR’s actions were undertaken in an attempt to bolster his chances to make the Chase. “They (MWR) weren’t out to get me, they were trying to help me,” he said. “Decisions were made, and they were made to try and help, but our team obviously took a pretty big hit. My career could take a pretty big hit, as well. Mooresville-South Iredell Economic Development Corporation announced today that Sharp-Gallaher Racing will relocate from Denver, N.C. to Mooresville, Iredell County. Sharp-Gallaher Racing will be purchasing the 126 Exmore building located in the Deerfield Business Park and plans to expand the existing facility to 46,000 square feet of manufacturing and office space. Sharp-Gallaher Racing's investment will be approximately $3.1 million. The project is expected to bring 25 new, full-time jobs from their existing facility and add an additional 15 jobs to the new Iredell facility with an average annual salary of $57,600 per year. "It's a pleasure to have a Company like Sharp-Gallaher Racing locate in the Mooresville Community. They bring high-skill, high-wage jobs to the area along with an amazing reputation in the racing community. We look forward to celebrating their success on the track and in our community," said Executive Director Robert Carney. The Iredell County Board of Commissioners and Town of Mooresville Commissioners approved an Industrial Incentive Grant for Sharp-Gallaher Racing in open session on September 16 and September 17. "We are looking forward to relocating to Mooresville (N.C.)," said Eddie Sharp Jr., NASCAR Camping World Truck Series team co-owner. "It is the heart of the motorsports industry, and will be an honor to be headquartered in Race City USA with some of the best teams in our sport. The location will allow us to be closer to our vendors and draw the caliber of employees that we are looking for as we continue to grow as a company." Mayor Miles Atkins said, "Mooresville continues to be a prime business location for the racing industry. We have clusters of advance manufacturing partners that support the racing sector and make Mooresville an attractive business location for the teams. Our Mooresville South Iredell Economic Development staff does an outstanding job recruiting and retaining leading industries." One week ago, Matt Kenseth downplayed the importance of his Chase-opening victory at Chicagoland Speedway, saying the real story would be told in Loudon, New Hampshire, “a totally different kind of track, (with a) totally different style of racing." Seven days later, he stood in Victory Lane at New Hampshire Motor Speedway for the first time in his NASCAR career, in firm command of a championship drive that now may be just eight weeks from completion. 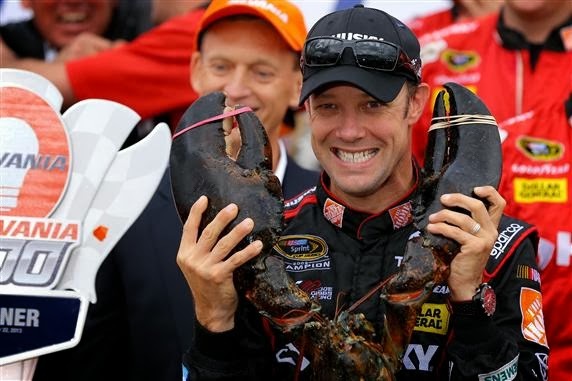 "To me, a win at Loudon is more than a stretch,” said Kenseth. “It’s more than a dream, because it's probably one of my worst (tracks). That just shows you how good this whole team is. "You never go to the track and hope to just get through a weekend," said Kenseth, who now leads NHMS runner up Kyle Busch by 14 points and five-time champ Jimmie Johnson by 18 in the battle for the 2013 championship. “But if I had to pick from all the races, this is probably the one that I had more anxiety over. I was a little worried about this weekend… because it's been a tough track for me. We had a pretty good car in the spring, and I messed it up. “I really feel like I'm the weak link here,” he said. “It's tough to pass (and) it's easy to get shuffled back on a restart and not get a good finish." Crew chief Jason Ratcliff begged to differ, saying, “Matt doesn't give himself nearly enough credit. Restarts are key here, especially when you know most of the guys are going to have either old left-side tires or old right-side tires. It makes it difficult to get going. "His restarts were exceptional today," said Ratcliff, "and I think that's one of the keys that got us the victory." Kenseth’s five regular-season victories were a 2013 series best. And now, with back-to-back wins to start the Chase, he and his Joe Gibbs Racing team have served notice – loud and clear – that they are the team to beat for the championship. His Loudon victory also portends well for the future. The New Hampshire oval is similar in layout to Phoenix International Raceway, site of the season’s penultimate race and a track where he has managed just one win in 22 career Sprint Cup starts. The Wisconsin native has always thrived on 1.5-mile ovals -- which comprise exactly half of the remaining schedule – and with flat one-milers now on his personal win list, there may be nothing left to keep him from a second career Sprint Cup crown. There are still challengers for the title, however. Shrugging off his reputation as a perennial Chase fizzler, Busch has raced to runner-up finishes behind Kenseth in each of the last two weeks. In marked contrast to seasons past, when mechanical failures and petty distractions have sidelined his effort, the M&Ms Toyota driver seems focused on the big picture this time around. "I've said for years that if I could finish second in every Chase race, I'd take it and win a championship," said Busch Sunday. "To win a Chase race doesn't mean anything. It's all about the championship. “We’re off to a fast start,” smiled Busch, “but somebody else is faster." Johnson is also not about to concede defeat with eight races still to run. "To open with a five-four (finish) is great, but a one-one like Matt's had is obviously a lot better," he said. "But we're in a good spot. We're not giving up too many points and we're going to one of my best race tracks next week at Dover." It’s not over yet, but with two races in the book, Kenseth stands tallest of all. "I'm thankful to be part of this group," said Kenseth Sunday, celebrating in Victory Lane after his 500th career Sprint Cup Series start. "It honestly doesn't seem real that we won today." That’s the verdict handed down by driver “Rockin’ Rodney” Brooks after a seventh-place finish in Sunday afternoon’s rain-delayed “Over The Mountain 150” Pro All Stars Series race at Hickory Motor Speedway. Postponed the previous evening by rain, Sunday’s race featured warm temperatures and sunny skies, forcing the Trinity Oaks Senior Living Community/KOMA Unwind Ford team to make some last-minute changes to their chassis set-up. Those adjustments worked, with Brooks turning a practice lap in 15.218 seconds; third fastest in the 28-car field. He lowered the bar even further in time-trail qualifying, turning a lap at 15.187 seconds, good for sixth overall. He drew the seventh starting slot in the mandatory Top-10 redraw, and immediately surged forward at the start of the 150-lap main event. He was fifth by lap 50, and took over the fourth spot just a few laps later, despite battling a loose condition that made the Trinity Oaks/KOMA Unwind Ford a handful in the corners. A puzzling scoring snafu cost the team two positions under a mid-race caution, when confusion surrounding the proper position of a lapped car dropped Brooks to the sixth place. Brooks battled an increasingly loose-handling race car throughout the second half of the race, but managed to drop only one more spot; that coming on a late-race restart en route to seventh place in the final run down. “We didn’t have a perfect car today,” said Godfather Motorsports crew chief Jim Gallison, Jr., “but Rodney drove the heck out of it. It has taken us a while to get things rolling this season, but with Top-8 finishes in our last two starts, we’ve finally got a little momentum going. The guys worked hard today, and we can’t wait for our next race in two weeks. Next up for the Trinity Oaks Senior Living/KOMA Unwind Ford team is the “PASS 150” at Dillon (SC) Motor Speedway on Saturday night, Oct. 5. Saturday’s Pro All Stars Series “Over The Mountain 150” at Hickory Motor Speedway has been postponed due to an inclement weather forecast and rescheduled for Sunday afternoon. Saturday’s forecast calls for a 60-70% chance of rain, forcing track officials to push-back the program to Sunday. Pit gates will now open at 10 AM, with practice for all four racing division beginning at noon. Time trial qualifying for the PASS Super Late Models is set for 2 PM, with feature racing beginning at 3:00. “We were geared up and ready to go,” said Trinity Oaks/KOMA Unwind Ford driver “Rockin’ Rodney” Brooks, “but we’ll keep the car tucked into the transporter until Sunday, enjoy a day with our families and get after it Sunday afternoon. 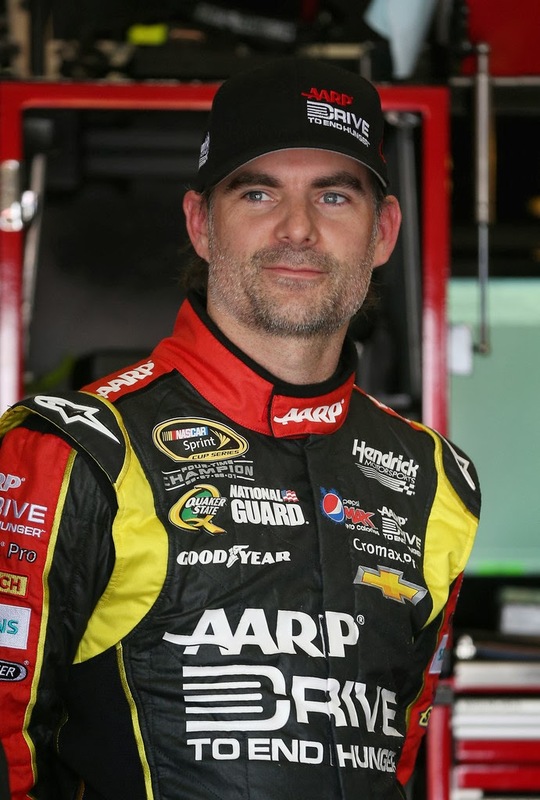 Johnson, Gordon On Mandates: "We'll Race Hard"
Hendrick Motorsports teammates Jimmie Johnson and Jeff Gordon weighed-in today on the controversy surrounding the sport since the regular-season finale at Richmond two weeks ago, and how the landscape has changed as a result. Gordon said he is pleased with NASCAR’s attempt to delineate what is – and is not – allowable on the race track, going forward. “I think we are all relieved in many ways,” he said. “All we have to do is go out there and race hard. I think that statement gets misinterpreted in some ways by people who might not understand this sport as well as the garage area and members of the media that follow the sport, or diehard fans that follow the sport. “You would think, ‘Oh well, you just race as hard as you can all the time.’ Yeah, we try to go out there and race to win every single weekend. But if you are having a bad day or are not in a position to win the race or the championship, you are going to be a team player. That is part of having teammates. Now, it’s going to get challenging and difficult on those days. Gordon said NAPA’s departure sent a clear message to teams, beyond anything NASCAR could have accomplished through monetary or championship point penalties. “A sponsor leaving is certainly bigger than those penalties,” he said. “That is hard to replace, especially at this point in the season. That was a very loud message that was sent to MWR -- as well as everyone in this sport -- about what expectations are and what can result if there are negative actions. Gordon said that while he has a clear understanding of how to race his Hendrick Motorsports teammates, the situation could become more complicated as the Chase rolls on. “It will get challenging when we get further into the Chase and some of us are not in that (championship) battle,” he said. “How are we going to manage racing as hard as we can, as well as what is happening with our teammate for the championship? “I think we are not going to do anything to manipulate the outcome of the race, and we are going to do everything we can to race at 100 percent all the way to the checkered flag. There might be instances where it might look like we are helping our teammate, (but) we are not. We are racing them hard, but they are faster than us. That is where it’s going to get challenging. That is where you guys (in the media)… are going to watch very closely how business is being taken care of on the race track, in radio communications and all those things. “I think not having the digital (radios) has been a little bit new for the team,” said Gordon. “They could talk to a spotter about a plan, or talk to somebody else on another team about what we were going to do on the next pit stop. That has changed things, (but) I think it is also a good thing, because we want everybody to know what we are talking about and what is getting ready to happen at all times.